Spencer Baum has been swimming competitively for the past seven years and has spent a good portion of his life in the water. When trying open water swimming for the first time, he was hooked. 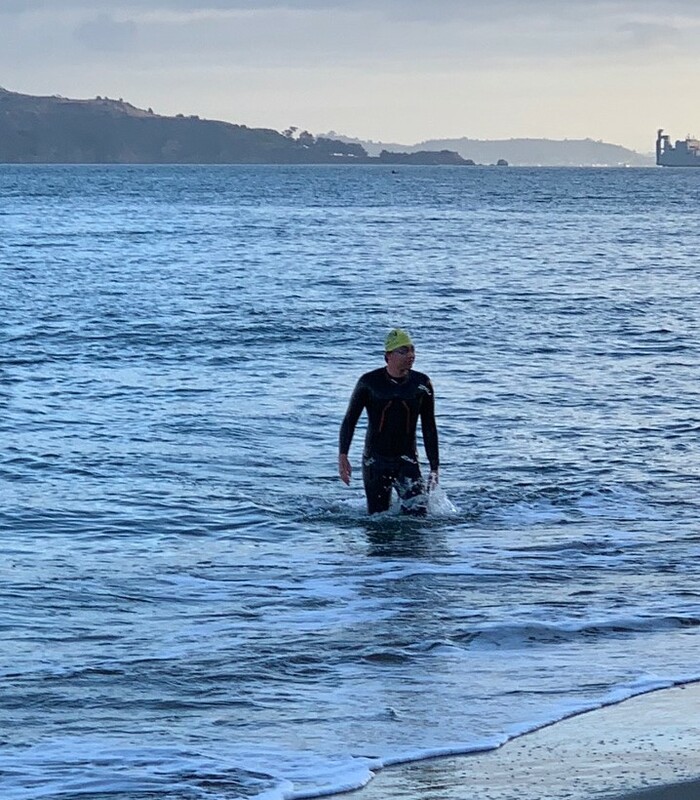 “Coming out of the cold bay water after doing a mile swim feels like a much more substantial accomplishment than doing a mile in a pool,” says Spencer. “Not only that, but open water presents a completely different challenge than pool swimming, and it's much more rewarding once you master it, because you feel free,” Spencer continues. We recently interviewed Spencer to learn more about why he loves open water swimming, his goals as an athlete, tips for fellow swimmers, and more. When he’s not in the water, Spencer is studying, working on homework, and attending classes in high school. Spencer also has technical know-how and is a budding entrepreneur who builds and sells custom gaming computers. Why Swim with Odyssey Open Water Swimming? Spencer doesn’t have any trouble finding opportunities to swim, whether in a pool or the open. But Odyssey offers him something he doesn’t find everywhere he goes -- a friendly and supportive community. Spencer has developed a routine he sticks to when joining Odyssey for a swim in the open water. Before a swim, Spencer talks to the other swimmers who have already arrived, put on glide/vaseline to avoid chafing, put on his wetsuit and then grab a towel. When the swim is over, Spencer chugs some chocolate milk and wraps himself in a blanket for the ride home. Once home, Spencer takes a warm shower and then spends some time with a good book or his phone. Don’t feel pressured into doing more than you want or can. Reflecting on his best swims, Spencer says that the Tahoe Sharkfest swim and the Odyssey Alcatraz swim were his most memorable. Thank you to Spencer for joining us on our swims and for bringing his positive attitude and kindness to our group of swimmers. Come and swim along with us at an upcoming Berkeley swim. Learn more about our weekly swims and sign up here.